That fork will finish out its utility, useless, buried in a landfill. Whereas, I could have used it forever. I knew this would backfire on me at some point. I let a friend borrow my fork and he threw it away. I know it wasn’t his intention, but it happened and now that fork that would have otherwise been used forever will be in a landfill forever. I know this is hard to comprehend, but it is the reality. 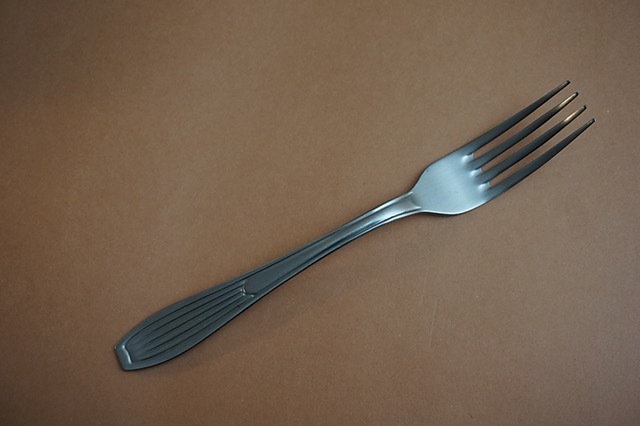 And I know many of you who are reading this are wondering why I am so worked up about a fork, but that isn’t the point. The point is, we as a society have been made to believe that life is disposable. That everything can be thrown away and that everything should be thrown away to make room for new things. I really do believe that there is far more power in having the power to choose to not do something than the actual act of doing it. We have come to put a negative spin on this recently, calling it privilege. Yes, it is privilege, but in this case that isn’t a bad thing. It is important to note that I understand that I have this privilege and that many people do not, but the main point is the same. I choose to buy durable goods that can be reused over an over again. In doing so I am helping the environment and saving money. Yes, when you make environmentally-friendly decisions you often save money. I wish more people cared. I think most people say they care but don’t do anything different. This reminds me of that, “I recycle,” argument I hear far too often. Yeah, you throw your water bottles into a recycle bin and call it a day. That’s nice, but what actually happens to those water bottles once the garbage man has picked them up? Where do they go and what do they get recycled into? Heck, do they actually get recycled? Only 34% of material in the United States gets recycled or composted which means that there is a good chance that the materials you throw into recycle bins won’t actually be recycling. Think if we lived in a world where we created no trash or recycling? What would the impact be? Without garbage trucks to haul our materials away they wouldn’t be out of sight and out of mind. What this means is that we would have to take ownership of all of our materials. We couldn’t simply throw them away and wash our hands of them. Think if we lived in a world where we had to dispose of all of our material on our own. We would probably care a lot more and create a lot less waste. I feel really guilty when I throw away anything, but especially when it goes into a recycle bin. I find myself wondering why I came into contact with that material to begin with and what I could have done differently to have avoided it. Think of all the resources that would be saved and environmental impact that would be promoted by taking a garbage truck off the road. Most of climate change is hard to quantify and I don’t mean to oversimplify it, but every time you avoid creating material, whether it is trash, recycling or compost, you are contributing to removing garbage trucks from the road. Yes, there is the argument that garbage trucks run on natural gas, so they are clean burning, but where do you think that natural gas came from? It was extracted from the ground, which uses up quite a bit of our resources to do. The best way to have an impact is to avoid these materials to begin with. I felt this post. I wanted to cry by just reading at it. We have a lot of work to do. We need to open our eyes.